WILLIAM: Today Jesus came and answered some questions for me about the location of the site of the True Temple of Solomon, as there is a lot of controversy about it. Jesus came looking most majestic with His Arms open – Blessing me and the people in the Church. Jesus said that mankind will be undergoing many great trials next year, as a major part of the Great Tribulation was going to occur, with larger earthquakes and large volcanos erupting. Jesus spoke to me about some personal matters, as the cross in my life was very heavy – then He began to answer my question. 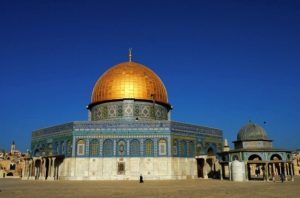 The Temple of Solomon is not on the Temple Mount, as claimed. The Golden Dome of the Rock will be destroyed. The Wailing wall is not part of the Holy Temple – it is some distance away from it – it is in the City of David. 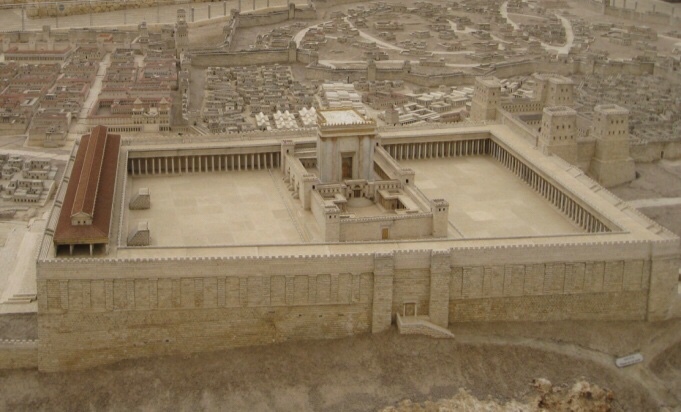 The Third Temple will be built, but not at the right place, as Jerusalem will be once more destroyed. The Antichrist will seat himself in the Vatican on the Throne of Peter, proclaiming himself as the Messiah, then the City of Rome will be destroyed and transferred to Jerusalem, where the Third Temple will be built and the Antichrist will then reign from there. After three and a half year (3½) reign, Saint Michael will come down and destroy the Antichrist as the Queen of Heaven will descend upon Earth with all the Angels, to cleanse it from evil. Jesus then returns in His Second Coming in all His Glory and Power, bringing the New Holy City of Jerusalem. Jesus said never to fear, but trust in His Love and always call on Him at any time and He will come. He said not to worry about time, as God is in control at all times.